The nature of life is spontaneous, fresh and new. In this spontaneity your mind doesn’t know how to deal with the new problems that come day after day. Every week I use to get emails filled with questions on those new situations and I wonder how in such a small life I would be able to create solutions for those problems! In last six years, I have created more than 35 dedicated feminization hypnosis sessions and each track of those was dedicated to a single topic. Take Past Feminization for example. The Past Feminization session was dedicated to recreating the past. Similarly, all other sessions would precisely deal with one issue at a time and this works wonderfully. One thing at a time works very, very well. Otherwise your subconscious will get confused and execute nothing. But there are hundreds of individual problems and it would be impossible for me to create a dedicated hypnosis session for each individual topic. For years this question has been wandering in my brain. One day I sat and started to write a script for it. I was trying to write such a script that can be customized on individual basis. Such a feminization hypnosis manuscript that would be more like multipurpose flour so that it can take any shape or taste as you prefer. That was not that easy as it has to be easy to use. So I had many revisions and tests. Finally I got one, working perfectly. It worked with Weight Loss, Breast Enlargement, Self Image Stabilization and so on. Custom Feminization Hypnosis is a very unique method; it can be easily customized as per individual requirements. It is more like an AAA battery which can run your camera, torch and walkman. You can use the very same battery to take pictures, light your house in emergency, and enjoy the music. Exactly like those, you can use the Custom Feminization Hypnosis for weight loss, resolving your carrier issues by finding a meaningful work or to be seductive at a date. You can see that these are quite different issues and there should be a separate and dedicated session for each of them. But the Custom Feminization Hypnosis can be used to address all of the issues. That’s the beauty of the Custom Feminization Hypnosis. You can customize it for any issue you can possibly have. It's more like a method than a hypnosis session. You'll learn to use your imagination to tailor the Custom Feminization Hypnosis session as per your requirement. 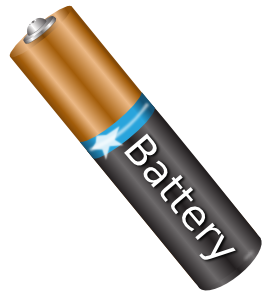 It is quite easy to understand if you take the analogy of AAA battery for example. You can use it anywhere and anytime; you need not to bother to listen the track while you're doing it. Yes, ones you catch the neck of this method you can use it without listening to the MP3. As I said, it's a method that you'll learn and once you learn this method you will be able to use it anywhere anytime just by closing your eyes to start the visualization. How come this method works, how a single method can be customized as per individual requirements? Alike the AAA battery, Custom Feminization Hypnosis has positive and negative points. You can allocate your own values into the hypnosis session. Surprisingly you’ll find yourself automatically zoomed away from negativity to positive point that you have defined. This is your screen. Your movie screen, your empty page, your empty stage that has rolled down from the sky for YOU. This screen is here to help you create exactly the kind of image you want of yourself, which will result in exactly the kind of world you want to live in. Look at the empty screen. Notice how it has completely taken over. It does not allow you to look at anything else. Everything is wiped clean. What you have here, in front of you is a clean slate. Feel yourself getting excited about this chance to finally become exactly who you want to be. Whatever you have grown up to be, whatever you are now - this is your chance to transform all that into a new you, and in this way, transform your world. This is the path towards fulfilling the beautiful potential inside you to be a natural, beautiful, confident, and successful woman. In this clean, white world, you will now begin to create your ideal self. Picture your perfect self: a beautiful, confident woman. As you look at your perfect self on the big, white screen, notice how you are almost surprised to discover how beautiful and natural, how adorable and feminine you are. This person is really you. Look at your natural feminine gestures, the way you walk and talk like a woman, completely natural, without even thinking. You can have feelings, too in this new world you are creating. You can have perfectly natural female emotions, and a natural, female body. Step back. Once again, there is nothing but a big, white screen in front of you, and you will fill this white space with your own picture. This time, fill the picture with everything in yourself you do not want to be. This is your worst possible self image. Put in all the negative emotions that build up throughout your day, everything you do not like about yourself and your life, everything you do not want in your life any longer. Everything that is holding you back. Maybe you have a poor image of yourself as a woman. You are worried that you do not have not lived life as a woman from the very beginning, and that male experiences are still ruling your life. Look at yourself harboring these doubts, and failing to exude a natural feminine image. Maybe you have doubts about your behavior as a woman. You may feel your gestures, or the way you walk as a woman are not natural. You may have a confidence problem that keeps you from achieving the private and professional success you SHOULD be able to achieve based on your excellent personality and qualifications. Look at yourself, how frustrated and sad you are. How your self esteem crumbles further every time you try and fail to get your career on the right track. You may be worried about the way you relate to others when you are communicating in a group or on a date. Make yourself feel all the negative emotions again. Remember, the more you feel them, the better it will work. Then, drain the colors out of the picture. Make it black and white. Watch how it loses more and more of its color and becomes pale and lifeless. Put yourself inside those bad emotions, and switch the pictures again. Pull the string of the negative picture, release its lock, and let it go all the way back up. 1 -2 - 3 - ZOOM! Back comes your perfect self image. You are happy, relaxed, and confident in this picture, just the woman you want to be. Now, make the colors brighter. Watch how they become more and more vivid, filled with life and beauty. Turn them up, and focus in on the picture. Make it sharper. This is who you are; this is how you live, and how you communicate. You can effortlessly communicate in groups and have dates as a woman. In fact, you are an extremely charming woman. Guys you date go crazy about you. You present yourself as the real woman you are whenever you go out in public, without even thinking about it twice. Feel your natural femininity. Feel how happy it makes you, the load that has been taken off your shoulders. When you see other women, it is as if their natural femininity creeps straight from their bodies and minds into your own, and you automatically soak up their essence. Wherever you are, and whatever situation you are facing, you are a beautiful, confident woman. You may know that female hormones can cause weight gain if the former eating habits continue as when you were male. I need not to mention that how important a good figure is in your transition. With the Custom Feminization Hypnosis you can implant the habit of eating small healthy meals, motivate yourself to burn extra calories and suggest your subconscious to think yourself skinny. Reprogram and feminize your thoughts, behaviors and all aspects of your feminine image. Let go of masculine thought patterns and learn how to express yourself as a true woman. Transform old male habits and behaviors so that you can effortlessly present yourself as a woman. If you’re well educated but struggling to find meaningful work then the Custom Feminization Hypnosis can help you in finding the perfect job so that you can become a productive member of society. Become able to acquire the posture, mannerisms, vocal patterns and habits of a genetic woman. Program your body to sit, stand and move like a natural woman without having to think about it. Train your brain to communicate like a real woman and express yourself as a woman. Replace masculine habits and behaviors with feminine skills and make feminine behaviors easy and automatic for yourself. In life every day we have new situations. You cannot prepare for them in advance; you have to invent fresh solution for each unique situation. The Custom Feminization Hypnosis is designed in a way that it has no solution in itself. 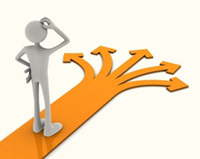 At the same time it allows the freedom of choosing your own solution with spontaneity. It is really going to be a revolution in how you look at day to day issues. These day today issues are the foundational blocks of your life. Unless you become capable to transform them, your transition is never going to be complete. The same kind of revolution those small batteries have brought into your life. As Life is much easier with them, with the Custom Feminization Hypnosis your life will be a lot easier. Custom Feminization Hypnosis: Custom Feminization Hypnosis for weight loss, resolving your carrier issues by finding a meaningful work or to be seductive at a date. It can be easily customized as per individual requirements. Time Less Principals of Self Hypnosis: Most hypnosis packs are created without any guidance and there is no how to when to what to. Plus they take for granted that everyone knows the fundamentals of using hypnotherapy sessions and they don’t even discus that. If you're wondering if this product is worth it, you'll be amazed at how much of a difference it makes to your feminization process right away. I believe that this is an extraordinary track. I feel much better in my life after each listening and, first I wasn´t observing any result, but now I believe that the subconscious effects are showing. Yes, it is an excellent product, which helps me in the core of my feelings. it's a great tool for building self-esteem and confidence.